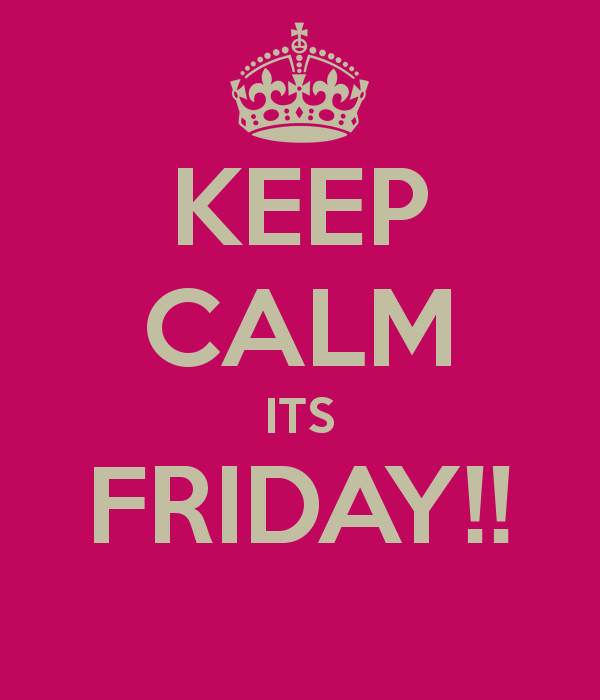 The most anticipated day of the week is finally here! 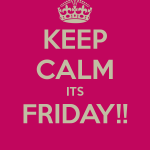 And with it, as usual, is our Friday Catch-UP. This week we’ve got news from Google, Twitter, and Facebook. Let’s go over some of the most important events of the week in greater detail. 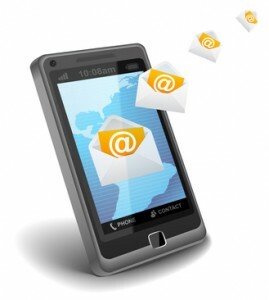 Over 40% of email today is being checked on mobile devices, a report recently revealed. The data was collected over the second half of 2012 and showed remarkable growth in the usage of smartphones and tablets for opening email. According to the report, 29% of the emails are checked on smartphones while 12% on tablets. The corresponding numbers for the first half of the year were 26% and 11% respectively. In the UK however, nearly 70% of email is being opened on mobile devices. It is a realistic assumption to make that checking email on mobile devices is going to become more common than on desktop computers in the near future. Read more at eConsultancy. Google announced this past week the launch of its Public Alerts service in Japan. Given the fact that Japan experiences more natural disasters, especially earthquakes, than most countries, more people head online to check for updates. The Google Public Alerts will provide them reliable and up-to-date information in case of any emergencies. The service can be used through Google Search, Google Now and Google Maps. Read more at Google’s Blog. 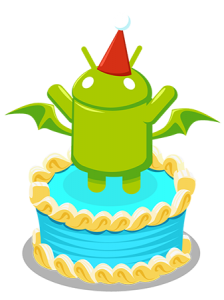 Google Play turned one year old this past week. Google’s service which enables users to get the best of movies, music, games and books has become a popular choice for people looking for content on the mobile devices or computers. With over 700,000 apps and games on offer, Google Play continues to grow. 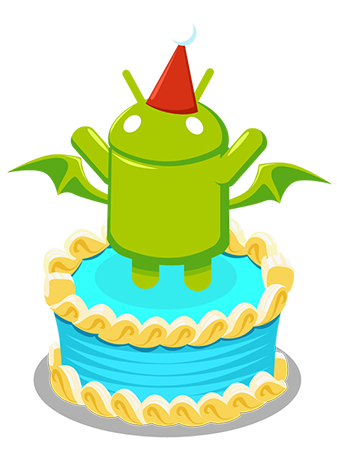 To mark its first birthday, Google is offering special deals, discounts and rewards. You can check them out at the Google Play Store. Read more at Google’s Blog. Facebook recently announced that it is going to change the design and layout of the Newsfeed to make it more appealing and user-friendly. Google picked up on their intentions and introduced a couple of changes to the profiles and pages on Google+. The changes include a larger-sized cover photo, easier editing options for your information and local review tabs. It is clear that Google has gone one-up on Facebook this time. Read more at Marketing Land. 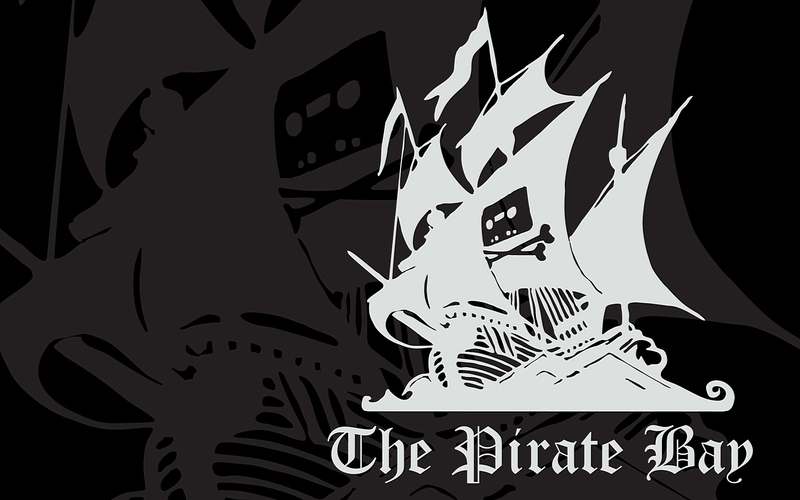 The popular BitTorrent tracker ‘Pirate Bay’ caught the ire of Google as the search engine giant downgraded its search rankings in the UK. 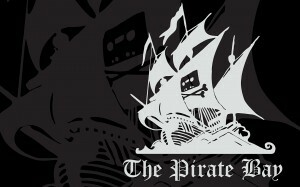 No longer would you see the website at the top even if you type ‘Pirate Bay’ in the search box. It seems as though Google is staying true to its word of not promoting illegal operators and services which are known to enable people to access content through piracy. There hasn’t been any official word from Google on the matter as yet. Read more at Search Engine Land. When you create a piece of content you intend to share with the world through the internet, there is always the feeling that it may not catch on with the audience. This is why you need to get all the help you can when creating viral content. Receiving words of advice from an expert who has created viral content with great success is one of the best ways to get started. Learning what you need to do enhances your chances of taking your content viral. Read more at Hubspot. Often businesses fail to stick to the core values they established early on. This is seen more often when it comes to branding their business. Branding requires you to stay in line with your values and beliefs as that is what the customers come to expect of you. Fortunately, there are a number of businesses which are great examples of consistency in branding. You can check out 15 such businesses and learn how to stay consistent when branding your business. Read more at Hubspot. 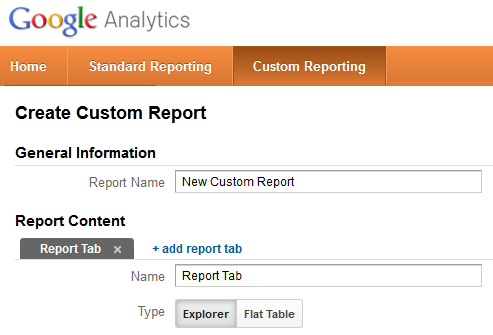 The standard reports you get through Google Analytics don’t often provide the information you are looking for. If you want more insightful data which could help you make decisions and judge the efficacy of your online marketing campaign, it is better to use custom reports on Google Analytics. 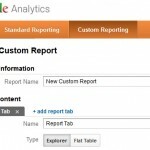 There are 10 such custom reports you will find extremely useful. Read more at eConsultancy. Improving the search engine ranking of your website is the key to your online marketing success. With millions of websites online, it is prudent to know just what you need to do to make your mark when it comes to search. In this regard, you can pick up some useful pointers from effective SEO and PPC campaigns that have managed to achieve success. Read more at eConsultancy. Did you know that you can curate content using Twitter Favorites? Effective curation helps you put your best foot forward on Twitter and enables you to attract more followers. Hence, you shouldn’t ignore the importance of curating the content you post on the social network. Twitter Favorites can be customized and used as an effective tool for curating content. The key is to knowing how to use it in the best way possible. Read more at Internet Marketing Ninjas. Part of your reputation on social networks is determined by the people who you follow, make friends or like. This is why you need to pay particular attention to the company you keep on Twitter, Facebook and the likes. More important than deciding who to follow is who to ignore. A few helpful pointers can help you decide the kind of people/users you should stay away from on social networks to keep your image intact. Read more at Search Engine Journal. 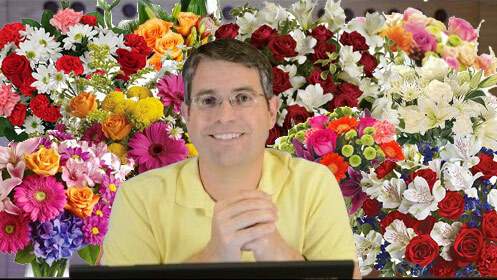 Interflora was down and out after being penalized by Google recently. Their rankings were adversely affected by Google’s penalty. However, somehow Interflora has managed to return and return spectacularly at that. You can find the website in most of its rankings as you would have before the penalty was applied. It is a remarkable achievement to stay the least. You should learn what they did to rebound so quickly. Read more at Search Engine Land. Customers use the social media websites to air their opinions about businesses now. It is all fine when they are praising your brand, quality of service and customer support. However, it could turn ugly at the drop of a hat if any customer decides to give you a negative review or post a complaint on Facebook, Twitter or any other social network. You should be prepared to deal with the criticism on social media and responding to it in the most effective way without losing any customers. Read more at Kissmetrics. Viewing an infographic makes it easier for you to learn something and obtain information without getting bored or distracted. This week, you can find six great infographics which are relevant to online marketing and eCommerce that provide you valuable insight into several different areas and aspect of the industry. From the way online shopping is booming in China to mobile habits of people in different countries, the infographics cover information on a wide range of topics. View the infographics at eConsultancy. Google has taken into its own hands to explain you how their search feature works. And they have come up with an interesting and exciting way to do so. You don’t have to read through large bodies of text. On the contrary, you simply have to use your mouse and scroll across the screen. Different points have been created where you can learn tidbits about the inner workings of Google search. It is a fun way to gain an upper hand on your competitors and enhance your knowledge of Google search. View the graphic at Google’s official site. Is There a Standard for Removing Web Spam Manually Which Google Follows? This week’s video features Matt Cutts talking about the manual removal of web spam by Google. Answering a question regarding a standard being followed when Google carries out manual reviews, Cutts revealed that the approach taken by Google is flexible. The steps and actions vary from review to review and the history of the owner of the website also comes into play. Google does not penalize webmasters who may have added spam to their website inadvertently. On the other hand, a webmaster with a known history of spamming is reviewed more stringently. View the video at YouTube. The user experience (UX) of a website plays a major role in attracting visitors and improving its SEO. However, there are some myths about UX which people tend to believe and end up making changes to their web design which have a negative impact on SEO. Knowing about these UX myths enables you to ignore them should they come up for discussion. It is extremely important for protecting your website’s SEO and enhancing the UX. Read more at SEOmoz.